The site on Mortimer Street where our great hospital stood is now a collection of prestigious homes, office space and restaurants. 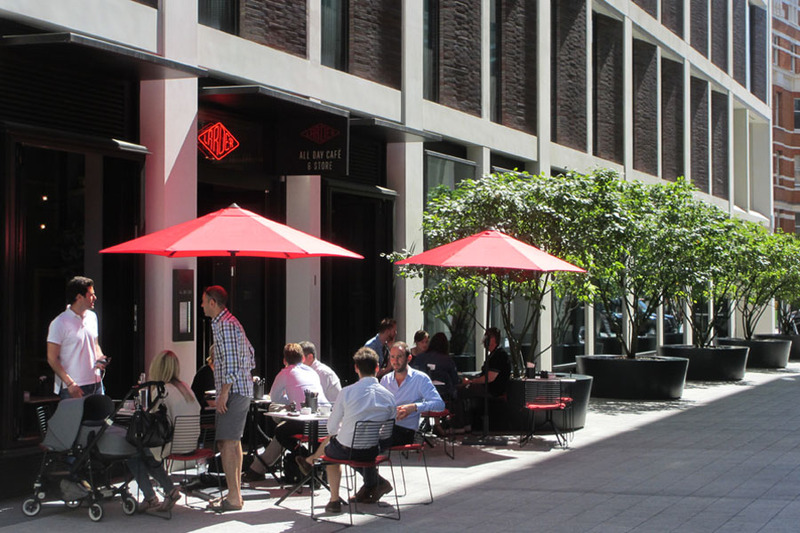 There is a thriving and busy community of people who live and work in the Fitzrovia neighbourhood. 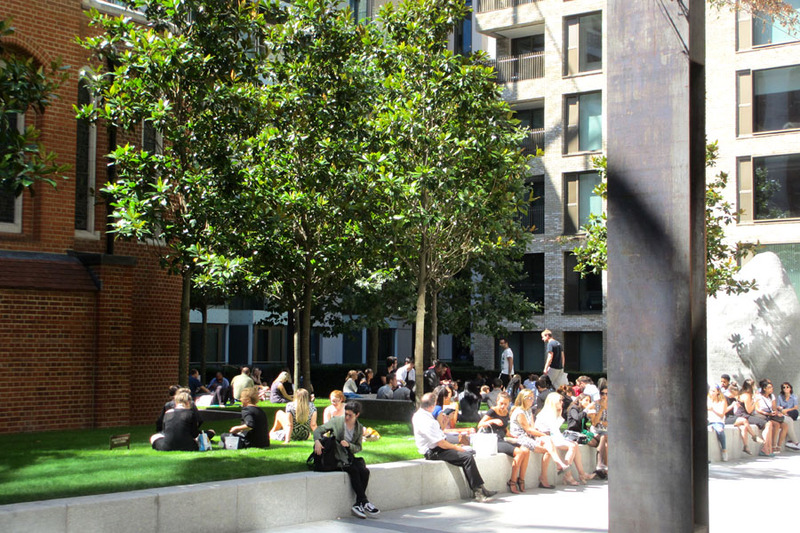 The central open space, known as Pearson Square, has been landscaped and provides local people with a pleasant area to relax in during lunch hour breaks. 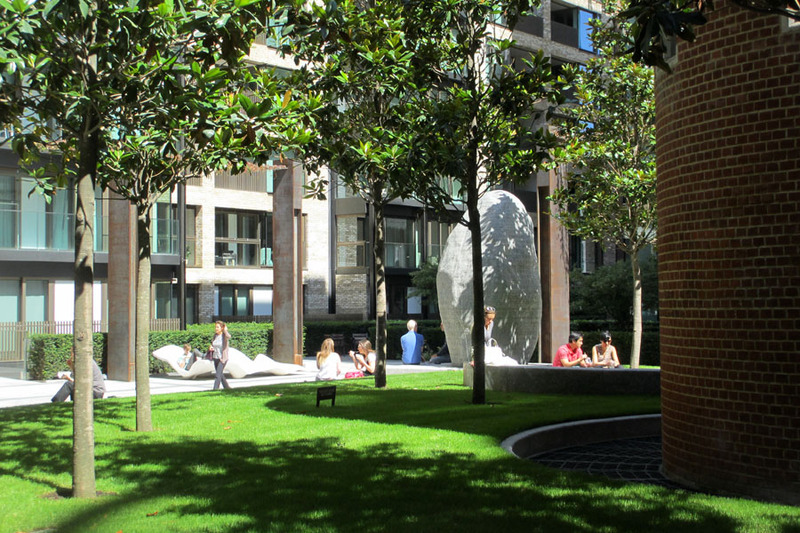 There are cafes and a restaurant and benches alongside the small physic garden. The former Middlesex Hospital Chapel, all that remains of the hospital, is now the responsibility of a committee of Trustees. The aims of the Trustees of the Fitzrovia Chapel Foundation are for the chapel to become the heart of the community; to be an accessible, welcoming place where people can meet and enjoy events. Events that are open to the general public as well as private hiring’s take place there throughout the year. Further details of future events can be found at ‘What’s On & Noticeboard’. The Trustees are also responsible for maintaining the Chapel in good repair. 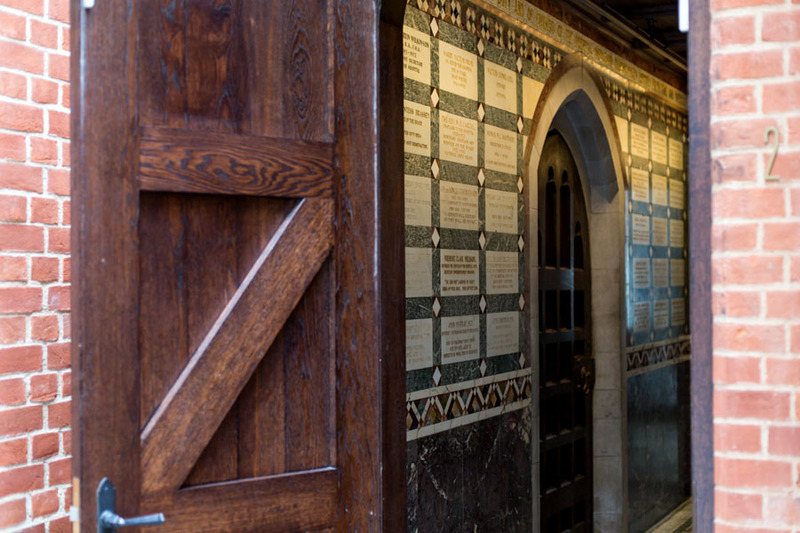 The management of the Fitzrovia Chapel is determined to preserve the memory of the hospital and celebrate the achievements of the past. It has become clear that there is a rich vein of nostalgia both from past patients, people who have lived in the area as well as former staff of the hospital from all disciplines. Every November a special exhibition runs throughout the month, in 2018 this featured ‘The Ward’ a photographic presentation of life on Broderip and Charles Bell wards in 1993. The first AIDS ward which was opened by Diana Princess of Wales, cared for young men facing an early death as there was no treatment in those days, it was a poignant reminder of some of the innovative care that was provided. The 2018 November exhibition is ‘Dwelling’ and features photographs of interiors around Fitzrovia, highlighting the design choices, styles and perceptions of beauty in dwellings. Every year the Chapel is open for Open House London in September. Private bookings can be made to use the Chapel for concerts, recitals, lectures, receptions, weddings and such like. Some Middlesex set reunions have arranged to meet there, if any nurses have future plans, do get in touch at info@fitzroviachapel.org to get details of the current rates. A database of Friends of the Chapel will be established so that in the future people can keep in touch and be updated on future plans and activities. If you wish to be included contact: info@fitzroviachapel.org. On the site of the Woolavington wing, fronting onto Cleveland Street there is now an off shoot of the National Hospital for Neurology and Neurosurgery which is part of UCLH. This is a specialist Pain Centre, the multidisciplinary team includes physiotherapists and psychologists as well as doctors and specialist nurses who treat all kinds of pain including long-standing pain.